Finally, a dividend update! Some of you thought I had thrown in the towel due to the lack of updates here, but nothing could be further from the truth. Financial independence through dividend growth investing remains one of my main goals even though I may take a detour once in a while. I know that I should keep the blog updated, but writing wasn’t on my mind the past few weeks. Call it writer’s block, call it laziness – I just didn’t feel like sitting down after a long day at work to write about my goals, investments, and anything else related to financial independence. Of course, that’s not fair to you guys since I promised to keep all of you updated on my dividend investing. By reviewing my purchases, portfolio changes, and dividend income monthly I show you guys a glimpse into what it might take to become financially free. On top of that, it’s a great way to reflect on my strategy and to keep myself motivated to see the entire endeavour through – it’s a long journey after all. Luckily there’s the recurring stimulus that is monthly passive income. Every time a dividend payment hits my account I’m filled with joy that I made money without having to lift a finger. And as an added bonus those payments grow every time through the compounding effect of both growing dividends and re-invested returns. I have nevertheless experienced some difficulties, such as the Kinder Morgan debacle (NYSE:KMI) last year. I was too greedy and tried to increase my income by chasing yield, which resulted in my first sell-off. On top of that, Australian miner BHP Billiton (LON:BLT) decided to cut its generous dividend because of the crushed commodity prices. And to top things off, the Belgian government decided to increase taxation on dividend income from 25% to 27% in an attempt to shift taxes from labour to capital – except that they forgot that the majority of wealth in Belgium remains in savings accounts and the housing market, but that’s a topic for later. As usual you’ll find a detailed list of payments and the total amount I received below, together with a review of my past performance and forward outlook. A whole bunch of companies forwarded a piece of their profits to my investment account simply for believing in their business model. And that’s the beauty of dividend growth investing: you can earn money while you’re asleep, on vacation, or simply at work – it doesn’t matter. The only thing you need to do is remain invested in the business idea of the companies you own. Now, that’s easier said than done, especially when you take the volatile markets we’ve had the pleasure of riding down and up over the past few weeks into account. And that’s why it’s important you understand and believe a business’ profit model. It’s much easier to remain a long-term investor when you realize that the underlying value of a company isn’t defined by its bid or ask price on the stock market. But enough about that, you guys are pros anyway! 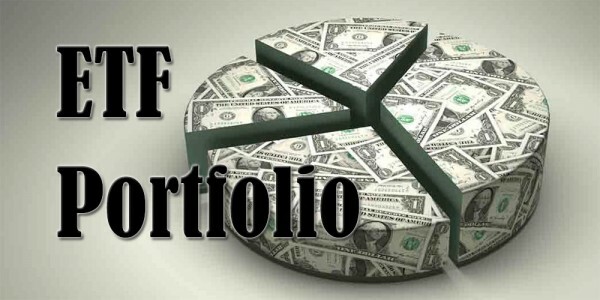 Let’s get to the focus of this article: dividend income. The final tally for January comes in at €39.63, while February finishes up with a respectable €68.84 – awesome! Some companies jumped months, like Swiss pharma and healthcare giant Novartis (VTX:NOVN), which previously returned a dividend to shareholders in March. Even more exciting to me is the fact that most dividend distributions were up from last year. American telco AT&T (NYSE:T) saw a 2% increase, while previously mentioned Novartis bumped its dividend by 4%, for example. Of course, these are small numbers and they don’t always cover the higher tax on dividends, but it’s nice to see the growth aspect of my dividend strategy at work. Speaking of growth, let’s take a look at the overall picture – I have managed to build my income through new investments too, after all. A quick look at my dividend tracking spreadsheet, which remains an awesome tool that I use to manage my international investments, shows triple digit growth. January’s income skyrocketed by 358% and February followed with a 149% increase – boom shakalaka! As a result, my average monthly income for the entire year stood at 9 Euros already at the end of February. Last year it took me until the end of March to reach that number – truly impressive growth. And new additions to the portfolio are likely to push these numbers even higher over the coming months. For example, I’ve added to my Unilever (LON:ULVR) and AT&T positions because I was impressed by their latest results. Similarly I increased my stake in Novartis, but mainly because the stock took a beating after releasing an update on its suboptimal performance. I’m already looking forward to the end of March as it’s about to turn into a big month once again. Even though I had planned to publish my income goal for 2016 after making my 2015 infographic, I didn’t get to it yet. However, I’ve set my target at €1500. I could be overshooting big time, certainly now that BHP Billiton cut its dividend, but it’s better to aim high and fall a little short than making an easy target, right? With two months under my belt I think I’m well under way to reach my goal. And at the risk of sounding like a broken record, if I don’t make the €1500 mark I’ll still feel like I’ve already won for life! Over the coming months I hope to write more, so stay tuned for dividend reports, info on my savings, and other financial independence talk. Thank you for reading and for your continued support. Congrats on this dividends amount. Glad to hear you like reading up on my progress! It’s one of the main reasons why I started publishing it here on my blog: the boost I got from reading others’ financial independence journey. I hope you’re even faster at building your income than I’ve been! Congratulations on your results! I recently moved from NYC to Brussels for work and I firmly believe in dividend growth investing as well. I share your excitement when the payments come in during dividend season! Keep up the good work. Cheers! Best of luck with dividend growth investing and be sure to take a look at the Belgian stock market – some quality dividend payers on there! Great to see a double update. You have done very well for yourself by the looks of things. Congrats on the progress. Very impressive yoy growth numbers, if the remainder of the year is the same, the €1500 target may even be obtainable! The €1,500 might be a bit of a stretch now that we’re a bit further into the year. With the BHP Billiton cut, the higher taxation on dividends and foreign exchange movements it’ll be hard to get there. But I’ll keep trying of course – May is turning out to be quite the month already! Nice growth in dividend income NMW! Novartis indeed plunged a lot over the last couple of months, I may initiate a position in this stock in the near-future and I’m also quite interested in Roche and a couple of other stocks. Novartis and Roche both took quite the nosedive – not surprising since Novartis owns a whole lot of Roche stock. I hope you find the chance to purchase any of them. The Swiss tax on dividends stings, but they’re such fantastic companies. last week i came to your blog the first time and i would say to you: You did great work! There are a lot of blogs in the internet but the most are from americans, for me it`s nice to see another good european dividend growth blog! 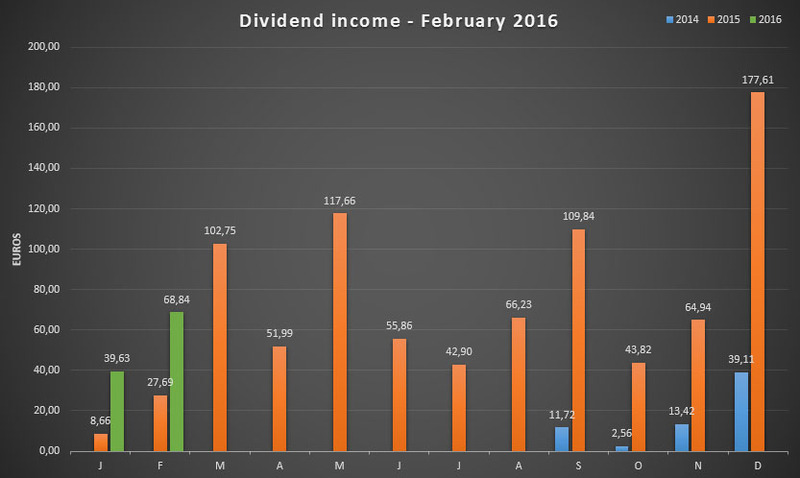 I´m realy excited to see your march dividend income update, it`ll should be a great month for all dividend investors! So thanks for your good work and keep on investing! Your english is very good. Very good decision starting investing at your early age. I started last year (30 years old). 30 is also a good Age, you also have a Lot of time which is going to bring a Lot of Cash to you…!! Love your enthusiasm! 47 years sounds like such a long time, right? Last month I received a notification of my official retirement age and it was 67… Over 40 years away. Thanks, but no thanks! I hope compounding works wonders for you at such a young age. Glad to hear you enjoy a European perspective on financial independence and dividend growth investing! It’s one of the main reasons why I started this blog: the community was a bit too US-centric. Ha, you started half a year before I did. I hope you’ve experienced the same growth and income I have over the past few months. That should set you up for a bright future over there in Germany, especially at just 20 years of age! The March and April update should be up later today or tomorrow. PS: you’re English is perfectly fine! Good to hear that you didn’t give up but rather just being busy. 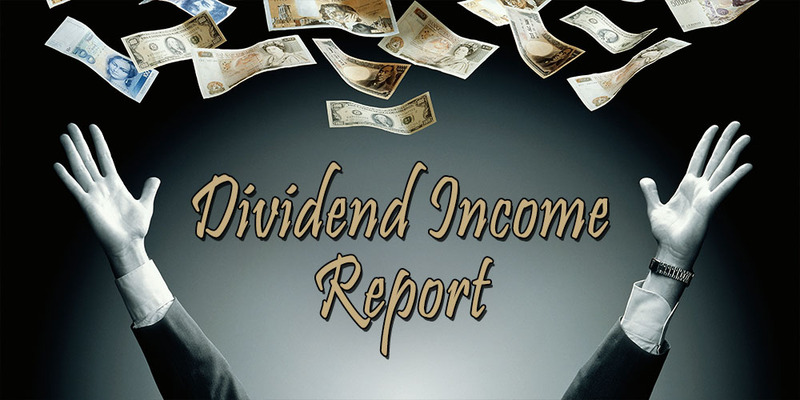 I love dividend income because you get paid regardless. You’re definitely benefiting from this. That’s what ‘surprised’ me most during the past couple of weeks: I’ve been busy and enjoying myself, but still the dividends kept rolling in as if nothing’s changed. I didn’t have to do anything except stay invested. Looks like two solid months to start the year off. You always have to love getting paid to do nothing. Ha, this man right here knows what he’s talking about! 🙂 Always loved that phrase and I often wished I could have it as a personal jingle everytime I did something awesome. Receiving dividends simply because I remain invested in great companies never gets old! It is nice reading from you ! Many thancks for your dedicated work and sharing with us. Thanks, David! I’ll try my best to write more regularly in the future. Hey there, thank you for the update, also, best wishes to DividendKiddy (i am also from Germany, hehe). I invested in companies like Bayer and Basf last year, looking forward to nice dividends here as well. Right now, i am focussing on tech stocks like Apple, Aplhabet, Amazon, etc., they don´t pay much dividends but i expect growth in the future. Apple is already the largest position in my portfolio, awesome company for a realy low price at the moment (i think)… The dividend is not high, but apple has tons of cash, awesome cashflows and in my oppinion they have great chances in markets like india, china, indonesia and a lot of other emerging markets. A lot of people say Iphone growth is over right now, but the market share from the iphone in india for example is ~2% i read, it`s a countrie with more than 1 billion people!!! Think apple could bring us a lot of happines the next years! Alphabet is also in my porfolio, think the price is not cheap at the moment, but sure it`s a good companie with great growth potential. Is there anyone out there who`s holding german stocks? I guess german stocks aren`t not that popular by investors from abroad… ? What´s not to like about BASF and Bayer? BASF they got a more than sound chemical business that will see rising demand for years to come. As of late they have been hurt by their Oil and Gas segment. However, the valuation with a P/E of about 15 is not overly stretched and the dividend is safe and generous at 4.4%. I would expect a similar or 10cent raise for last FY. Personally I do not own the stock, since a lot more DD would be required. But the company deserves a spot on a dividend investors radar! Apart from the names you mentioned there are a lot of other high-quality names in Germany with such as Henkel and Beiersdorfer or Fuchs Petrolub, only to name a few! Hey and thanks for the update NMW, great progress! I’m Dutch but I also have 1 German stock. I have MUV2 in my portfolio. Bought it at 167 last year. Very nice dividend growth company that does quiet well at the moment. Munich RE is one the most well-known dividend growth companies from Germany out there, I think. It has some major headwinds ahead for the coming years, but I’m sure they’ll do great in the long-term. And you can’t argue with its shareholder oriented dividend policy! You’re absolutely right, Philip! BASF should definitely be on any dividend growth investor’s radar, especially if you’re from Germany. Germany has a ton of great DGI companies, but the gross yield is often low and the double taxation eats into our income so much (50%) that it’s not worth our time to invest in most of them, especially now that we’re trying to get our portfolio off the ground. It’s funny that you’re no fan of Bayer and BASF, while I like the companies and their business. And you think Apple is a great buy, whereas I think it’s a one trick pony at the moment with no great prospects except maybe more iPhone sales. Mobile phones are a horrible area to be in at the moment… Hardly any innovation, pressure from wearables, VR, etc. I wouldn’t bet my money on it to be honest. Apple could really quickly sink back to its dready 90s form if it doesn’t find the next opportunity in the market. 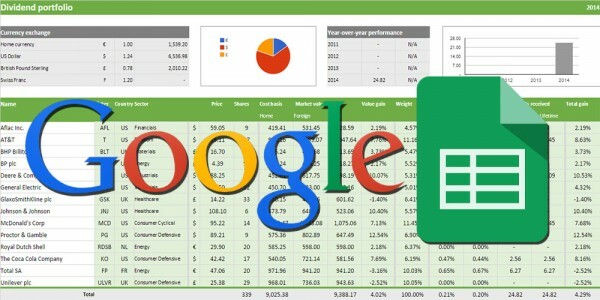 I like Alphabet though, but there’s strong regulatory pressures ahead for el Goog. As you know I currently hold one German stock: MUV2. The issue with German stocks for foreign investors is the high withholding tax of 27.5% (or something around that number) on top of our national income tax on dividends. The procedure to receive a tax cut on that number is VERY cumbersome to say the least and not worth most people’s time. the thing about BASF and a lot of other german bluechips of the DAX30 (Daimler,BMW,Volkswagen,Continental..) is, that they are very cyclical. And I don´t like to buy them at this time of the cycle which we are now, because i´m sure that the price of them would be much lower in the next years. This stocks you have to buy near the bottom of a cycle (and maybe sell when they are higher). But that´s not my strategy, i´m a buy-and-hold investor, looking for stocks that i can hold forever. That´s why i´m not so happy about the most german companies to invest in them, ofcourse i would buy some of them when they are trading at a huge discount, but only then, they´re too cylcical for me. I see a GREAT future for APPLE! True, some of Germany’s best companies are cyclical, but BASF offsets that cyclicality a bit by the wide area of operations and countercyclical activities. I’d definitely load up on them if the cycle bottoms out! DGI seems to be rampant in Germany lately – so many of you coming out of the woodworks, awesome! Bayer and BASF are two companies that are on my watchlist as well. I missed the opportunity to buy into BASF when the stock was near its 52 week low a couple of weeks ago, damn. Enjoy its nice dividend! As far as I know both Google and Amazon don’t pay a dividend at all and I don’t think they will in the near future since they’re both still trying to fuel their growth. Apple recently started paying a dividend though, so I hope that pays off for you big time! Nice growth man. Good to hear you are making progress. Cuts happen, I was bit by KMI too, but I avoided BBL/Billiton. Good luck continuing the year, and don’t feel any worry about posting all the time. I sure don’t! Hope all is well otherwise in Brussels, clearly it has not been the best of times over there of late. Glad you’re doing well. Many people were stung by KMI, so don’t feel too bad about it. Plenty of opportunities to make your money back! I kinda saw BHP Billiton coming and I applaud management for making a clear-cut decision like that (instead of the horrible communication that came from KMI). Brussels has had a rough time the past couple of weeks, but it’s getting better. 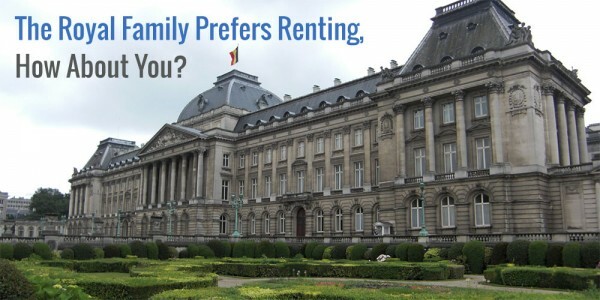 Belgium is a complicated country, but we’ll find a way to make it work – always have! Thanks for your concern. Glad to see that you are still around. It is ok to be lazy,have a writers block, have other priorities. Thanks, man! Appreciate the continued support from my fellow Belgians! I can’t believe that 1/4 of 2016 is already in the books. Where does the time fly? As always another solid result with some companies we share too. Of course, you are setting yourself up for a bright financial future starting at such a young age. Keep sticking with the quality names. Congrats on that amazing growth too. Thanks for sharing. Right? And now that I’m writing my comment to you we’re another 1.5 months ahead. Time flies by without us even noticing. Hearing we share a couple of companies is music to my ears, as you know! I love how defensive and well-thought out your portfolio is. Keep it up on your end too. Something to consider. Allianz is a P&C insurer with large a Wealth Management franchise. P&C insurers do not face the increased competitive pressures that reinsurers like Munich Re have to battle with today. The underwriting result of reinsurers is coming under fire from new competitors entering the picture such as hedge funds and others who seek for yield and find it in reinsurance. That of course destroys prices and weighs on underwriting results. P&C insurance company´s, as purchasers of reinsurance benefit from said development. Another point that would speak in favor of Allianz is their large huge Asset Manager PIMCO that generates fee based income, which is not impacted by the current low interest environment and thus provides stability. However, as always you have to consider whether or not the price for allianz is right for you as of now. Allianz for sure will feature higher growth going forward compared to munich re and thus deserves a higher P/E. Hope that helps a little when you decide what to buy! I haven’t looked into Allianz as in-depth as I have into Munich RE, but from what I’ve gathered they’re two different types of companies as Philip has explained to you. Sorry I couldn’t be of more use! It is nice to see another Belgian on the interwebs. It seems you are building a nice portfolio. The dividendcut from BHP was to be expected I picked them up as a value play. Once the commodity prices go up, the stock price will surely follow. Great to meet another Belgian! There aren’t too many of us around, but so far I’ve met about six of us online. It seems like we’re about the same age and share the same goal. The dividend cut from BHP was definitely in the works and I’m actually glad management went the prudent route and decided to cut. The stock will surely pick up again if commodities go up, and the dividend will follow. I love your chart, it’s so self speaking that dividend income well re-invested are the right thing to do. Great to see you back! I was a bit worried that I wouldn’t be hearing of any more updates on your financial path. Having started investing at a similar time an age to you I have found your perspective and journey very useful, especially as we come from the same side of the Atlantic pond. Good luck this year but I am sure you won’t need it. Looking forward to the future for both of us. Thanks for the warm welcome back! I got a bit burned out on writing (and maintaining the blog, which is a ton of work), plus I had other fun hobbies to pour my time in. I’ll try to be more consistent from now on. Best of luck on your end too! Congrats on all the dividend income. I really like National Grid, Deere and Glaxosmithkline 🙂 All have long futures for their own reasons. Funny that you mention NG since I added to that stock just a couple of days ago. Very stable and regulated utility without any hassle, love it. Deere and and Glaxo are a different story, but both managed quite well, so they’ll do well in the future indeed. Just found your blog and must say I’m impressed about your journey so far.. Trying to start as well, but the oldest post I could find was from 2014 regarding your income report. Which mentioned already a worth of 20.000, does this mean you entered the market with this kind of savings? Would your strategy also work like for someone who doesn’t have this kind of entry savings (but builds up in the long run ofc)? Let’s say 2000 or 5000. So basically you save some money each month and invest every month, or use the dividend to re-invest? I’m also from Belgium 😉 and eager to join the market too, but I’m a bit overwhelmed by all the information at first. Currently still comparing brokers and putting some money on the side to invest later on (and I’m afraid I still need a whole lot to save). Have you checked out Keytrade as well, before going with Bolero/Binck? Thank you for the kind words – I try my best. I hope you find the information on my blog useful in getting started yourself. I did indeed start out with a whole bunch of money I had saved up already. As a youngster and throughout university I always took small jobs here and there and set at least 50% of that income aside. The strategy of living frugally, saving as much as possible, and investing your savings works for any income level (although it’s easier if you make big bucks, of course). I would advise you to build a comfortable level of cash savings, then start focussing on investing the excess income. You can see I have about 20.000 in cash savings and on top of that my investments. Every month I take my savings and invest them together with the dividends from that month. I did look at Keytrade, but wasn’t impressed by their offering and service at the time. Binck and Bolero have been good to me, so I stick to them. To each their own, of course! Great start in 2016! The progress you are making is really inspiring. I hope you keep us updated with you progress on your path to financial independence! I am looking forward to European and German dividend season! I’m glad you find my progress inspiring, it’s one of the main reasons why I keep this online log of my savings and investments. And with the European dividend season coming up this blog should turn into a good news show, ha! Thanks, Jonny! Let’s hope there are many more to come! Nice to see a new post! And good job! Nice going. I have a question about the dividend. Do you calculate the gross or the nett dividend? Since you have to pay taxes. Is it all nett already? The dividends reported here are the net dividends I receive in my account. So that’s: gross dividend minus foreign withholding taxes minus income taxes in Belgium. Quick question: How much taxes did you pay on the dividend from Novartis?